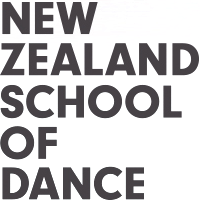 Pages hosted by the New Zealand School of Dance (NZSD) on social media are for students and supporters of NZSD. We encourage open discussion, while requesting posted content is appropriate, friendly and respectful to all. For the purposes of this policy ‘social media’ is a term for a wide-spectrum of user-driven content technologies. NZSD welcomes feedback, comments, reviews and ideas from all our followers, and will endeavour to join in and contribute to the conversation where possible. We usually update and monitor our social media pages during business hours, Monday to Friday (other than public holidays), however NZSD does not have any obligation to monitor, edit, or review posts to its social media pages. Posts on any of the NZSD’s social media pages do not reflect the views, opinions or position of the New Zealand School of Dance, its directors or employees. purports to reflect our views or be binding on, or posted by, NZSD. NZSD’s decision to follow a particular social media page does not imply endorsement of any kind. Similarly, the appearance of a social media page as a follower or friend of NZSD does not imply endorsement. Occasionally we may share, “retweet”, “Like”, rate or comment on a post to our social media pages, however, this does not imply endorsement on the part of NZSD. All material posted by you will be regarded as public information and may be treated by us as such. In particular, by posting on our social media pages, you acknowledge that we (and/or anyone else) can use, copy, reproduce, modify, publish and distribute the material in any and all media or distribution methods; however, this does not imply endorsement on the part of NZSD. This also means we can reproduce your posts for promotional or commercial purposes (with no compensation paid to you). The contents of our social media pages are intended for informational purposes only. NZSD shall in no event accept any liability for loss of damage suffered by any person or body due to information provided on these sites or linked sites. Violation of this policy may result in you being barred or removed from NZSD social media pages.